As the fastest growing religion today, Islam accounts for more than 1.6 billion people around the globe. It, like countless other religions, promotes peace, acceptance and love for one another. It teaches morality, equality and promotes intellect and knowledge of worldly and spiritual affairs. Among all the lessons and prophetic narrations provided in the Qur’an, there are fundamental acts within the Islamic faith. These acts include verbalization and belief in the Shahada, or statement of belief in Allah (SWT) and Prophet Muhammad (PBUH), as well the obligation to fast during Ramadan, perform Hajj (pilgrimage) once in our lives, complete the five daily prayers and give charity to the poor. While all are equal in their importance in Islam, Hajj is one of the most spiritual and physically rewarding acts a believer can partake in. Hajj is the act of pilgrimage to Mecca, Saudi Arabia that takes place once every year. The start of Hajj is indicated, like all Islamic traditions, by the sighting of the moon in a specific state. The first 10 days of the Islamic month of Dhul Hijjah are incredibly rewarding for acts of faith such as prayer and fasting for all believers — whether they are or are not able to go for Hajj. However, those who are fortunate enough to go for Hajj experience spirituality and connection to Allah (SWT) that surpasses expectations and requires an immense amount of physical toil as well. At any given time of the year, Mecca, Saudi Arabia is packed with hundreds of thousands of worshipers at the Grand Mosque, or the Masjid al-Ḥarām. These worshipers perform a pilgrimage called Umrah, which is similar, but differs from Hajj in many ways. The most obvious difference comes from the timing of both pilgrimages. Hajj occurs only once a year and within the first 10 days of the Islamic month Dhul Hijjah, while Umrah can be performed virtually any other time of the year. Umrah is a year-round ritual, and while the steps of Umrah are difficult, Hajj has many more steps in its process. The steps of Umrah consists of Ihram, or the state of cleanliness and intention, tawaf, the circling of the Holy Ka’aba seven times, praying two rakat (two units of prayer), drinking Zamzam water, sa’ae — the passing between the mountains of Safa and Marwa seven times, and cutting hair — shaving the head for men and cutting a small piece of hair for women. Umrah, like Hajj, is performed as an act of total cleansing of the believer performing it and believers remember the trials of Hajar (RA), the Prophet Ibrahim (AS) and Prophet Muhammad (PBUH). In contrast, Hajj is held in higher desire to accomplish as it is an obligation of every Muslim who is able to perform it at least once in their lives. During the first 10 days of Dhul Hijjah, between three to four million pilgrims come from all corners of the globe to complete their obligation. The act of Umrah can be completed within a span of two to four hours, but the act of Hajj takes at least four to five days to complete. The steps of Hajj begin the same way as the steps of Umrah with the state of Ihram, tawaf around the Ka’aba, two rakat, Zamzam water, and sa’ae between Safa and Marwah but continue on when the pilgrims travel to Mina still in the state of Ihram. In Mina, the pilgrims stay in camps made entirely of tents, as pilgrims are not allowed to stay in concrete buildings. The next day, the pilgrims travel to Arafat and hear the Hajj Khutbah (Sermon) and pray Asr and Maghrib prayers together. After praying Maghrib, the prayer at sunset, the pilgrims go to Muzdalifa, collect stones and throw them at jamarat, the three walls, which symbolize Shaytan’s (Satan) temptations. The pilgrims stay overnight in the open air — signifying the importance of equality in Islam and in the eyes of Allah (SWT) regardless of race, color and status as everyone sleeps on the same ground and in the same conditions. The next morning, the pilgrims travel back to Mina and performance qurbani, or sacrifice. This sacrifice commemorates the sacrifice that Prophet Ibrahim (AS) almost completed when Allah (SWT) asked him to sacrifice his own son as a test but switched his son with a calf at the last second when convinced of Prophet Ibrahim’s obedience. After the qurbani, the men shave their heads and the women cut their hair. 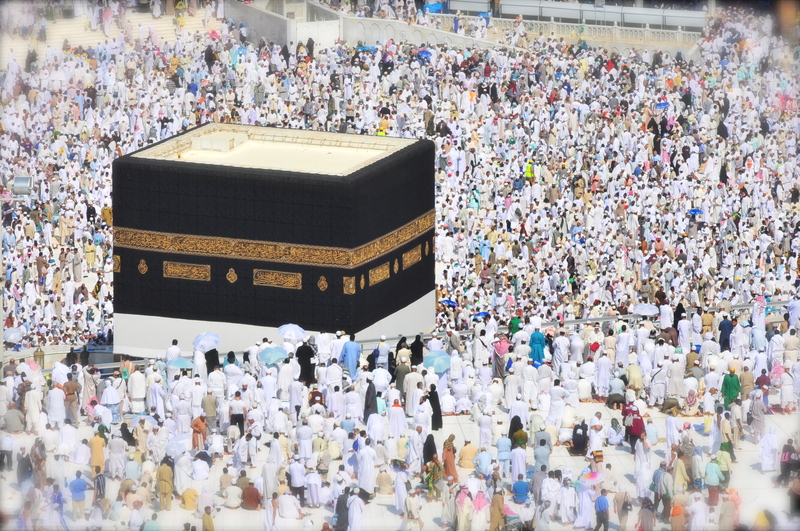 The pilgrims are able to leave the state of Ihram, and are then required to make ghusul, the purity of the body, and repeat the tawaf around the Ka’aba within the next three days. Hajj and Umrah have differences in timing, physical toil and intention. However, much like many of the steps of both pilgrimages, they also share similarities in the fact that they equalize all believers regardless of physical and genetic differences as well as socioeconomic status. They both provide connection to Allah (SWT) and spiritual cleanliness — and they both remind us of our roles as Muslims in the world. Being in the presence of so many diverse Muslims all there for the same purpose unifies Muslims from every race, country, ethnicity, class and more. They become one group of people who are there for the sake of Allah (SWT). Hajj is expensive today. Since Eiman Travels Hajj Packages and Eiman Travels Umrah Packages are expensive now a days. In any case, I have seen that Eiman Travels are given least expensive rate to hajj and ummrah. It will be loyal voyage for every one of you. I had done my adventure of Ummrah as of late from Umrah Travel Agency in Pakistan.